The late comedian Mitch Hedberg made people laugh with the strange inflections in his voice and even stranger observations. 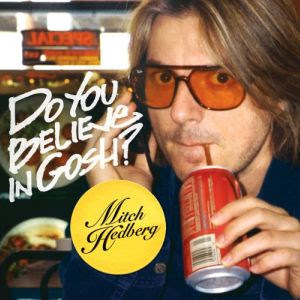 Now you can hear some jokes off the soon-to-be-released Do You Believe in Gosh? (record two months before his death), out on Comedy Central records September 9. You can read more about the man and buy his old records, some cool t-shirts and other memorabilia at his website: mitchhedberg.net.